These extremely advanced intra, extra and ultraterrestrials have faced and transcended many of the challenges and fears in their past that we on Earth now face. The environmental and energy crises with all the competition, war and greed are all part of their history. They believe planets and civilizations are terrible things to waste and warn that continuing with our present course will result in social, economic and environmental collapse. Rather than being called aliens, it is more appropriate to call them members of the greater family of man/woman. They are not here to be worshiped. They are not here to conquer Earth and it's inhabitants. They are not here to take our natural resources. The simple fact that they have not done so by now shows that this is not their agenda. They are here to inspire each individual to make their own personal God connection and live by the Universal Principles necessary for a healthy society and environment. 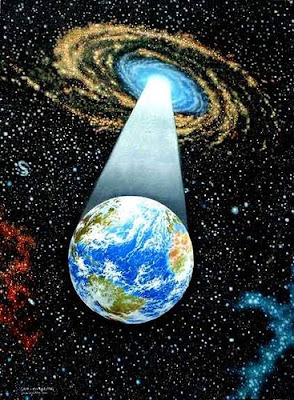 They are here to assist Humanity in a birthing process into the Fifth World, or the 'Golden Age of God' spoken of in ancient prophecies in most every culture on Earth. It is a turbulent, rocky road with many personal and collective challenges. They are here to alleviate the severity of some of the events in the days to come. Some in the past have referred to them as Gods. Others as angels. There is a saying, "just because you are dead does not mean you are enlightened". This can be expanded to include, "just because you have technology and a ship doesn't not mean you are benevolent and have the highest and best good of Humanity and the Earth in mind". Every experience and connection needs to be tested according to the Universal Principles or Laws of Creation. Do they inspire your own individual God connection, Universal Peace, Brother/Sisterly Love, Individual Freedom and Equality, service to the Creator within all creation? These are guidelines to use when receiving information, choosing any teachers or groups and for everyday life situations. If these Universal Laws are not being applied, it is time to find a new group, change the source of your information or make the changes necessary in your life to be in harmony with them. The presence of UFOs, or IFOs (Identified Flying Objects), in this part of Washington state stretches back into ancient history with stories from the indigenous people. Scientific investigations and reports from noted scientists and researchers such as Dr. J Allen Hynek, Bill Vogel, David Akers and Greg Long bring undeniable evidence to the table of the ongoing IFO activity in this area since at least the late 1940's. The photos, 11 hours of video, over 700 eyewitnesses including astrophysicists, scientists, aeronautic engineers, air force, commercial and private pilots and employees in the aviation industry, the anomalous leaf growth and the two landings this year of two off-world craft that we have documented adds to what now can be only be described as extraordinary evidence. In the past, the ships played a cat and mouse game with scientists and investigators. Almost all attempts to document their presence was evaded. Also during this time, many people living in the area reported having experiences with these beings, but the contacts would never progress beyond the person's own uncertainties and fears of the unknown. Even many of the Native Americans in the area feared and avoided contact with the "Stick Indians" that appeared to them. This, despite their own incredible legends of the "man with red eyes" with great healing powers who came and lived among their people until he died and his body was taken away by an object that descended from the sky and flew off. Unlike the past, the craft and occupants are now showing a willingness and desire to be photographed and video taped. Many ask why? The reason is simple. We are meeting the protocols for contact and are rising to the occasion while leaving our fears behind. We do our best to live according to the Universal principles and are committed to service in the awakening and healing of Humanity and the Earth. This is the sole reason we are highly successful where others have failed. The photos taken by guests and investigators were taken by people with high integrity and pure intent. Some were highly educated and some were not. An open mind and loving heart and standing with impeccable integrity are the protocols for contact. There are steps we must take in order to have Galactic Exchange. The first is documentation of the reality of extra, intra and ultraterrestrial presence and dissemination of the information as to their true nature and desires concerning Humanity and the Earth. The second step is creating the foundation and environment necessary for Galactic Exchange, a Univer-City set up for contact and the exchange of knowledge and information that will assist in the awakening and healing of Humanity and the Earth. The possibility to heal the past, end disease, clean up the environment and use free, earth friendly energy technology all exist. It has already been disseminated to many, yet due to greed and vested interests, these technologies and therapies are suppressed. There needs to be an end to suppression and an independent assessment made without vested interests. There also needs to be a stand down policy with the military concerning all aggressive action towards these highly evolved beings. It has been well established that military attempts to engage them have been primitive and barbaric that usually ends up with the occupants of these craft taking the high road, jumping into the next dimension or speeding off at phenomenal rates of speed, defying all our known laws of physics. There has also been the reports of the disappearance of military aircraft. It is nothing to send a craft back or forward in time to another place or dimension if you have full use of creational energy. Choosing ambassadors with pure intentions who have met the necessary protocols we have mentioned is the only way we will be successful in establishing international security and contact with these benevolent beings. This is how a beneficial working relationship with this advanced Universal Family must begin. Then we can create an ongoing Galactic exchange center for opening the door to unification with the rest of the Universe. ECETI and the Self-Mastery Earth Institute are fully dedicated to these goals. We are working towards putting together a consortium of top minds in each field to embrace this new knowledge and disseminate it to students and the public at large. This unification and the other steps have all been agreed to by our benevolent, spiritually and technologically advanced brothers and sisters. It is up to us to release our fears, rise to the occasion and meet these protocols with impeccable integrity, choosing to live by the universal principles and understandings necessary for a healthy society and environment. This is an opportunity, a gift. We are not here to debate, deny or continue living in fear and ignorance over the reality of UFOs and their occupants. We are not here to engage in petty bickering over religious dogma. We are here to serve those who choose a higher path, a sustainable life in harmony with Nature and the Universe. 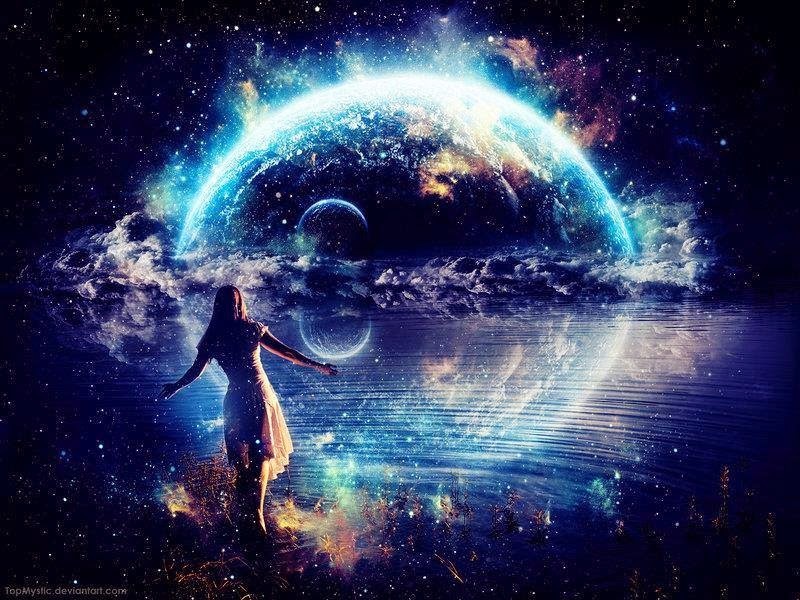 We are here for those who want to evolve beyond fear, denial and social consciousness and into a greater understanding of the Universe in which we live and share with our Greater Family of Mankind. Copyright James Gilliland 2000 - 2005 all rights reserved.